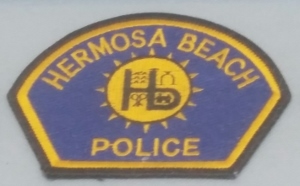 The Hermosa Beach Police Department pulled over our client on Pacific Coast Highway for an inoperable headlight at about 2:30 a.m. Our client was a college professor. He was rather surprised that the officer could have noticed his inoperable headlight, as he was only behind our client. However, the car indeed had one headlight that was not illuminating the road in front. Our client had a passenger, who was quite drunk, but officers attributed a strong odor of alcohol coming from the inside of the car to only our client. The officers also rushed our client through the roadside gymnastic tests (field sobriety tests) so that he was asked to provide a breath sample on a preliminary alcohol screening (PAS) device just 14 minutes after being pulled over. On this breath sample, our client’s breath registered a 0.14% blood alcohol content, or BAC, and he was arrested. Brief Synopsis: Arrest for DUI in Hermosa Beach. The client’s breath measured 0.14% blood alcohol content at the scene and later at the station, but because the police officer violated Title 17 and the breath machine manufacture’s guidelines, the case was resolved as a wet reckless. The Hermosa Beach Police Department then transported our client, age 29 and with no prior record, to the police station, where he was again asked to provide a breath sample within five minutes of arriving at the station. The same officer that drove him from the scene of the arrest to the station administered the test. At the DMV hearing, the officer admitted that while he was driving the police car with our client, he had to look forward to safely drive the vehicle. He had to pay attention to traffic and could not continuously observe our client during the entire drive to the station. He then admitted that the breath sample taken at the police station was not taken after he continuously observed our client for fifteen minutes, although he signed the Datamaster checklist under penalty of perjury saying he did just that. Our client did not provide a blood sample. The officer further admitted that the breath sample taken at the scene was elicited without his first continually observing the client for fifteen minutes prior to the test, in violation of the PAS manufacturer guidelines and Title 17 of the California Code. The officer had no other option but to tell the truth, as his report, with the stated times, was clear. Therefore, we argued in the Torrance Superior Court to the Hermosa Beach City Prosecutor that both the arrest scene breathalyzer BAC results and the breathalyzer results from the police station violated the manufacturer’s guidelines (in the case of the DMV hearing, this violates section 1219.3 of Title 17, the code applicable to DMV hearings). While the Hermosa Beach City Prosecutor correctly responded that such problems do not make the results inadmissible, these violations of protocol do go toward the weight that a jury would be free to give to the breath test results – less we would argue – and that therefore this case could be resolved as a wet reckless. We argued that the jury may perceive the officer as continually cutting corners in his investigation and not following the rules, but our client was held to strict standards, which seemed like a double standard. Our client accepted the wet reckless (Vehicle Code § 23103 pursuant to 23103.5) plea bargain offered, relieved that he had avoided a conviction for DUI. Perhaps more importantly, since his plea was to a “wet reckless” and not a DUI, he avoided the DMV’s requirement that he install an Ignition Interlock Device, or IID, which is a mini-breath machine, in his car. Such a device will lock the driver out of the ignition if the driver has any alcohol in his breath. The driver must blow into a tube that tests the breath for alcohol before allowing ignition of the car. Such devices are notoriously defective and often lock out a client from starting his car when he or she has had nothing to drink. Why Is a “Wet Reckless” Better Than a DUI? Watch our video about DUI by clicking here.